I know this must be painful. Reliving your own past, revisiting the circumstances that led to your abortion, telling yourself again and again that you did the right thing at the time for yourself and for your baby. Trying not to think about it too much for fear of the reality of your actions hitting and breaking your heart. Crying into your pillow at night, thinking about how old your baby would be right now, and the times you have missed caring for your own. Coming to the realization that the better life you hoped would result from not bringing a child into this world, is not that much better. Wondering if the better life would have been one in which you joyfully embraced motherhood and allowed family and friends to help you as you finished school and worked long hours. Imagining what it would have been like to hold your baby, cuddle him to sleep, watch her take those first steps, cheer him on in football, encourage her in academics. It must be painful to consider what actually happened in that abortion clinic—to you and to your baby. My heart breaks for you. 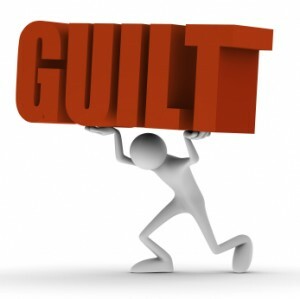 My heart longs for you to be free from guilt. The great news is that God is willing to forgive you of this particular sin, but He is willing and able to forgive you of all your sin-past, present and future. In reality, there are many other sins for which we would stand before the Lord as guilty. Jesus died so that we would not have to pay the penalty that we deserve for our sins. When we repent, meaning turn away from a life of sin, and trust that Christ’s death satisfies God’s anger over our sins, then the Lord clears us from the debt of death we owe God for our sin, and makes us new and holy people. If you’re already a Christian but struggle with the weight of guilt over your sin, remember what Christ has already done for you. Live in the freedom that He purchased for you. Remember that though your sins were like scarlet, Christ has made you white as snow. Pray on behalf of others who are considering the path you have walked. Pray that they would run the other way and trust in the Lord to care for them and their baby. May this be your comfort, “The Lord is near to the brokenhearted and saves the crushed in spirit” (Psalm 34:18). “If we confess our sins, He is faithful and just to forgive us our sins and to cleanse us from all unrighteousness” (1 John 1:9). “For godly grief produces a repentance that leads to salvation without regret, whereas worldly grief produces death. For see what earnestness this godly grief has produced in you, but also what eagerness to clear yourselves, what indignation, what fear, what longing, what zeal, what punishment! At every point you have proved yourselves innocent in the matter” (2 Corinthians 7:10-11). May the Lord give you a heart of repentance, and may He give us a heart to care for you in love. Categories: 1 John, 2 Corinthians, Abortion, Freedom, Gospel, Isaiah, Psalm, Repentance, Scripture, Women | Tags: abortion, forgiveness, Gosnell, guilt, hope | Permalink. I know I’m prone to this. I feel a certain way, and I just want to nurse the feeling. My heart is full of feelings, nothing more than feelings. Truth has to wedge its way into my deceptive heart as my feelings masquerade as truth. We can’t stop with how we feel. Our feelings are not to rule over us. The Word of God is to rule and guide our feelings and actions. One of the most important truths for me to hold on to when my feelings vie for control of my heart is that I have One who is able to sympathize with my weaknesses, yet without sin. So, I need to draw near to the throne of GRACE with CONFIDENCE (not in what I can do, but confidence in what Christ can do through me, and in what He has already done for me) that I may receive mercy and find grace to help in my time of need. Here’s some feelings that frequently invade my heart and how I’m learning to bring my feelings under the banner of truth. We are all inadequate, that’s why we need Christ, depending on Him working in us, not on our own efforts. It’s easy to see my weaknesses and to tell myself that because I’m weak, I can’t ______. The truth is, “when I am weak, then I am strong” (2 Corin 12:10). Therefore, I must grab hold of the grace of Christ so that His strength might work powerfully in me to accomplish His purposes in my life. My strength runs out the moment I exert it. But Christ’s strength is always available and always enough for every task and every act of service. I have no desire. I can sulk with the best of ’em and throw crazy pity parties! If I want attention, approval or pity from others, I can gather up my pet peeve, stroke it, feed it, and cuddle it to rest in my heart. If I want peace instead, then there’s an important imperative that should not be ignored from Colossians 3:15 “let the peace of Christ rule in your hearts”. It’s the little word “let”. This is an act of will. I have to want it. I can allow worry, ingratitude, resentment, and discord to rule in my heart by nursing wounds. Or, I can let the peace of Christ to take rightful rule over my heart, casting its calming shadow of grace over my soul. Too often, I try to apply God’s Word through works rather than rely on the grace of the Lord. I have no strength of my own that is lasting and sufficient. The more I try to earn God’s favor and the favor of others through works, the tighter my rubber band is wound and it’s only a matter of time before it snaps. When I read God’s commands to me–be this, do that, work this way, love them, hate that, I can find myself frazzled and spiraling into a deep dark pit of despair. I KNOW I can’t do those things He commands, be who He wants me to be, love those He calls me to love if it’s left totally up to me. It’s just not in me. I have too much sin blocking my path. Sins of selfishness, entitlement, anger, lying, covetousness, and so on (see Col 3:5-9). But if I’m led by the Spirit, the fruit of the Spirit will be evident in my life (Gal 5:18, 22-23). I know that I can do/endure/handle all things through Him who strengthens me (Phil 4:13). “First and foremost I would not hesitate to put–temperament” (p. 14). “Let us pass to the second big cause–physical conditions” (p. 18). “Another frequent cause of spiritual depression is what we may describe as a reaction–a reaction after a blessing, a reaction after some unusual and exceptional experience” (p. 19). “Then we come to the next cause. 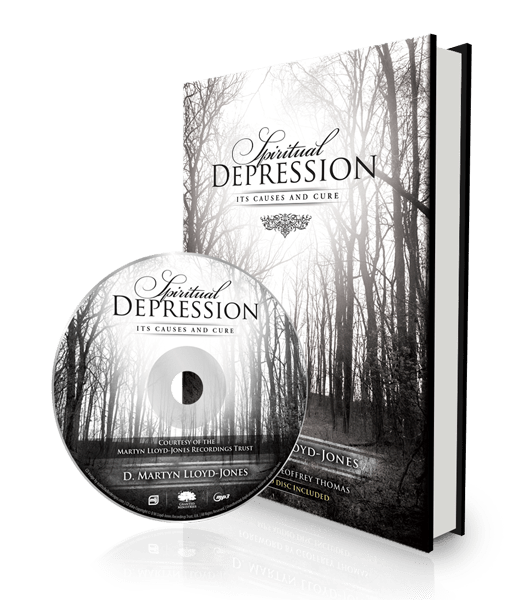 In a sense, and in the last analysis, that is the one and only cause of spiritual depression–it is the devil, the adversary of our souls” (p. 19). 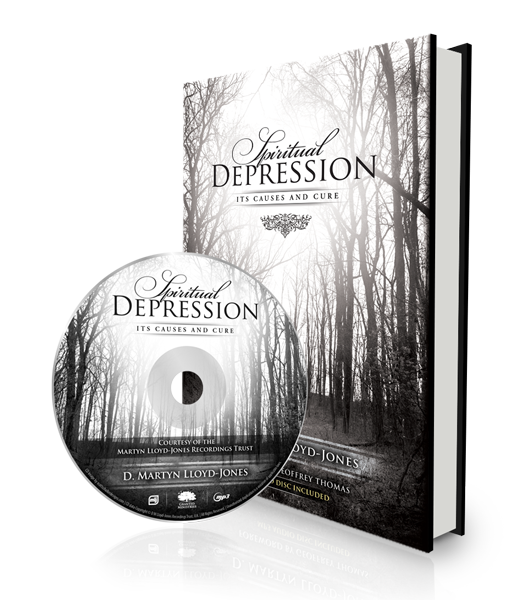 “Indeed I can put it, finally, like this: the ultimate cause of all spiritual depression is unbelief” (p. 20). For women, I think we can downplay the role of physical conditions on our spiritual health. We can be so busy caring for everyone else’s needs in our family and friendship networks, that we ignore physical signs that may be indicators to our overall spiritual health. Pay attention to changes in menstrual patterns, excessive weight gain/loss, big mood swings, recurring headaches, nagging discomfort or pain, and so on. When our bodies are not well, it really can affect us spiritually. If we take care of ourselves physically, it can have a positive effect on our spiritual lives. Each of the above causes could be expanded on at length, so I would encourage you to read this book, gain an honest assessment of which areas typify you when you’re struggling spiritually, and seek the Lord’s aid through prayer and accountability with others in how to combat these issues. Speak the TRUTH to yourself. Don’t be ruled by emotion. Feelings are nothing more than that, just feelings. Lloyd-Jones would say stop listening to yourself and start speaking the truth to yourself. Our God is good and wise and only does what is good for His people. He delights to do good to us (Jeremiah 32:41) and for us and for His glory. Don’t put words in God’s mouth by speaking lies about God, yourself, or those who have hurt you. The truth is, the Lord has called you to be faithful, to adorn the fruit of the Spirit, to be still and know that He is God, to cast all your cares upon Him, to trust Him, to depend upon Him for everything. What He does call you to do, He gives you the grace to do it, as you work by His strength which works powerfully in you (Col 1:29). We need to get out of our own heads and start to live out of truth, not our feelings or our hearts. Our hearts are deceptive, and can jump ahead in the battle at any given moment. The war is already won. We just have to stand on the winning side. We’re not alone trying to accomplish His work in and for us. His Spirit is working in us, causing us to live and act according to His purpose, pleasure and will. The peace that too often escapes us comes from spiritual rest, not from human effort (Matt 11:28). Categories: 2 Corinthians, Books, Colossians, Devotions, Matthew, Peace, Philippians, Rest, Scripture, Truth | Tags: feelings, peace, spiritual depression, truth | Permalink. Categories: 2 Corinthians, Christian, Music, Scripture | Tags: 2 Corinthians 4:16, hymns | Permalink.